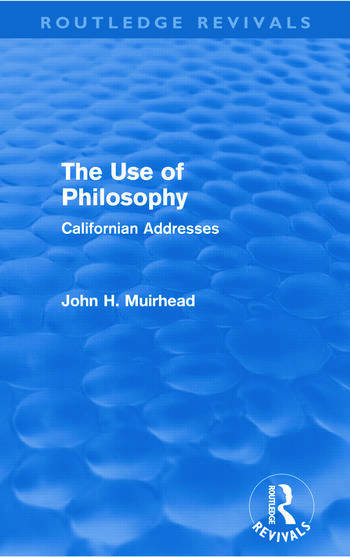 First published in 1928, this book reproduces the lectures and addresses that John Henry Muirhead gave on various occasions during the two and a half years he spent as Lecturer of Philosophy on the Mills Foundation at the University of California, USA. The different chapters look at the meaning and general place of Philosophy as a subject of study and the application of its leading conceptions to different areas of modern life, including science and politics. The final chapters however, present two short talks of a different nature, which were addressed to Scottish countrymen, gathered on distant shores. In this book, Muirhead makes a summary of his life’s philosophical thoughts and conclusions.